The fund was established in 1989 with a bequest of $100,000 by Seymour R. Cohen, M.S. M.D., Odelia A. Cohen and their daughters Lori Dee Jekelis and Cathy Lynne Cross during Dr. Cohen’s Presidency. The Award is to be announced in 1996 and implemented in 1997.  With permission of the Cohen Family, the ALA converted the funding to research grant with the first award presented at the 2015 Annual Meeting in Boston, Massachusetts. To establish a monetary award to be given bi-annually if an outstanding candidate is identified. The prospective candidate must perform basic science research in order to be eligible. This research must be in the area of pediatric laryngology and/or pediatric neurolaryngology. The scope of the award is limited to citizens of the United States of America and Canada. Should multiple candidates collaborate in the research, all authors must comply with the citizenship requirements. The primary author must certify that he/she has done at least 70% of the work and must also attest to the fact that a majority of the material has been previously unpublished. The ALA/ALVRE Research Committee will review each Request for Proposals (RFP) submitted through the Administrator’s Office.